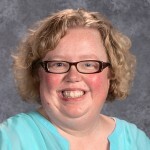 My name is Ann Koetter and I am a third year teacher at Sacred Heart Area School. I completed both my graduate and undergraduate studies at St. Cloud State University. I graduated in 1998 with a Bachelor’s Degree, majoring in Elementary Education and minoring in Mathematics. I took a few years off to stay home with my three boys, now 19, 17 and 15 years old. Once they entered school I began working as a substitute teacher and did so for 10 years. I subbed for every position from Early Childhood to High School Calculus. I began graduate school in 2012 studying Early Childhood Special Education. After completing that program I took a job working for the Onamia School District working at Wewenabi as a Early Childhood Special Education teacher for 3-5 year olds. The following year I accepted a position at the Alexandria School District again working as an Early Childhood Special Education teacher for 3-5 year olds. I am pleased to be working at Sacred Heart and feel like my life has come full circle because I started my education at a catholic school. I attended first thru sixth grade at St. Mary’s in Long Prairie. Working at Sacred Heart feels like coming home. Here my personality aligns with my passion/purpose.